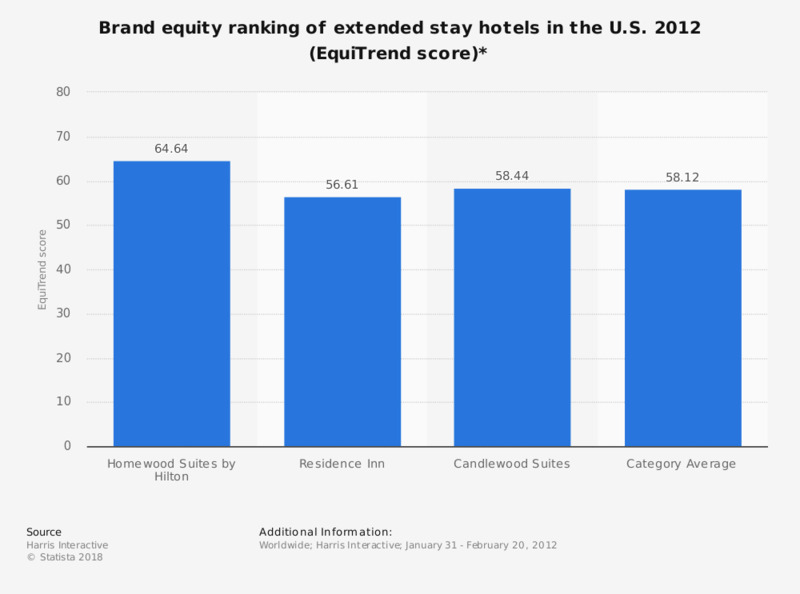 The statistic depicts the EquiTrend ranking of extended stay hotels in the U.S. in 2012. Homewood Suites by Hilton's EquiTrend score is 64.64 in 2012. Extended Stay America and Mainstay Suites (not included in this statistic) ranked below the category average.